Opportunity for earning a Trusted Learning Environment Seal - a data privacy seal for school systems, focused on building a culture of trust and transparency. Regional Technologist/Administrator Meetings (Nine Different Regions) scheduled throughout the year. Individuals who are directly responsible for performing technical services within a public or private PK-12 institution. This membership is only provided to those who are vetted by the Executive Committee. Active members who retire are eligible for Senior Membership status. These members shall have all rights/privileges of active membership except as prescribed in Article II, Section 1. Any student sponsored by an active member shall be eligible for student membership. Student members are entitled to all privileges of META except to vote and hold office. 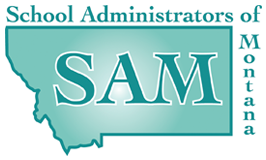 *Membership in META automatically includes membership to the School Administrators of Montana (SAM).